If lying by the swimming pool is too dull for your holidays, but you still want some sun then consider exploring part of the Silk Route. You get stunning weather, but also have centuries of history and a soupçon of adventure thrown in. 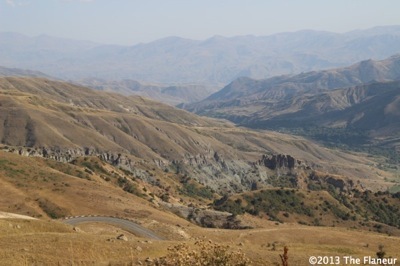 Currently Armenia is a little known holiday destination for most Brits, but that is changing. It won’t be long until everyone has sold their villa in Tuscany and is trying to buy a caravanserai in Gegharkunik. You heard it here first. This is a spectacular part of the world. Two thousand years ago you’d have had to buy a camel or two to make the journey, and say goodbye to your family for months. Now you can fly to Armenia and the family can come too. If you enjoy the mountain passes of the Alps then Armenia will give you something to write home about, if you can find a shop that sells stamps. 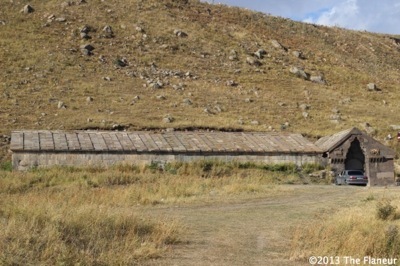 The caravanserai on the Selim pass is the best preserved of its kind in Armenia, although it was renovated in 1959. It was built by the Orbelian family in 1332 as a refuge for travellers and their animals as they traversed the Sulema mountains. Designed to protect the inhabitants from outside attack, the only entrance is the door to the right, and the only sources of light inside are shafts in the ceilings. Built from basalt it is basically one 41 metre long hall divided into three aisles where people and their animals would have sheltered together. This is just one example of the medieval buildings you can experience when travelling around Armenia along the network of routes linking Asia with Europe. Located between Gegharkunik and Vayots Dzor marz this caravanserai is on the ancient Dvin-Partav trade route, but you will find other exquisite places all over Armenia. The ancient buildings are amazing, but the natural scenery and the evening sun on the Silk Route is a marvellous sight. It makes you wish you had a suitcase full of ultramarine to sell in Venice.